Location: Gene Nastri School, 8616 Mukilteo Speedway, Mukilteo, WA 98275. Rates: $295 early enrollment (Best Deal! ), $349 mid enrollment starting May 15th, $395 late enrollment starting June 15th. *Students are encouraged to bring a lunch and snack each day. R.O.C.K. will give students from all over the area focused musical training and exposure to the greatest of classic rock and orchestral literature. While rehearsals are framed within a fun and energetic environment, and with numerous opportunities to work with professional musicians, the Rock Orchestra will present an exciting concert after just one week of rehearsing! The camp will also provide all participants with an opportunity to grow by focusing on innovating and crossing musical boundaries between traditional classical music, video game music, movie themes, and contemporary rock genres. Students are required to submit an audition tape of a piece of their choosing so that each part will be tailored to fit their skill level and ensure confidence and success. All students are accepted regardless of level. Enrollment will continue until all chairs for the Rock Orchestra are filled. Strings, woodwinds, brass, electric guitar, electric bass, drums, and piano are invited to apply. Please email video submissions to sarah.genenastri@gmail.com, or upload with application. 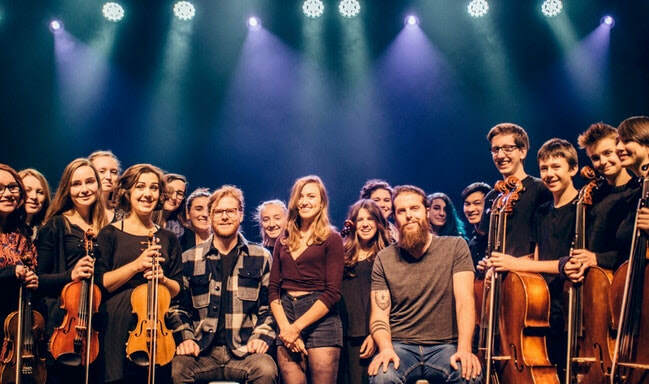 Check out Seattle Rock Orchestra performing Michael Jackson's Beat It, arranged by our own Willow Goodine, and with Seth May-Patterson performing as principal violist.